June 14th of every year is set aside as Flag Day, a day when American flags adorn houses, streets and businesses around the country to commemorate the adoption of the first Stars and Strips by the Continental Congress in 1777. Flags are a symbol of patriotism for many countries and cultures, and Americans are no different. Flags offer a symbol of unity and strength, of honor and loyalty. The flag of the United States of America stands for liberty and freedom, justice and loyalty. The Stars and Stripes are a patriotic reminder of our roots, our history and our future. As such, the American flag is both revered and feared throughout the world, as it stands for democracy, freedom and the pursuit of human rights. Flag Day has been celebrated as a national observance since 1949, when Congress approved a resolution that designated June 14th of every year as a day to observe and display the flag on all government buildings. 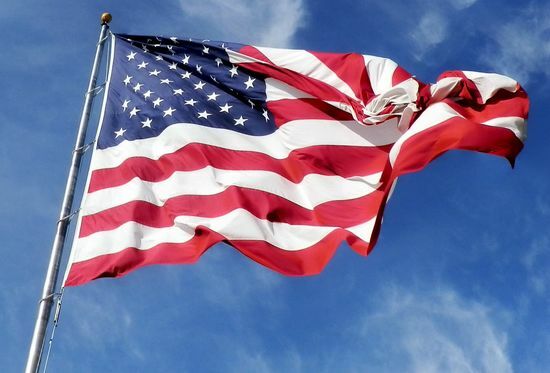 In 1966, Congress requested that the week of June 14th be designated as National Flag Week, asking that all Americans fly their flags during the observed period of time. The idea of celebrating a separate flag day was introduced in 1885 by a Wisconsin schoolteacher who felt that a birthday should be held to celebrate the 108th anniversary of the adoption of the Stars and Stripes as the flag of the United States of America. In 1894, New York’s governor directed that all public buildings fly the flag on the 14th of June, and in other states, organizations and groups promoted the idea of a period of official recognition for the ‘birthday’ of the American flag. In 1894, the first public schools to celebrate Flag Day were located in Chicago, with hundreds of thousands of school children honoring and saluting the flag. Three decades later, Flag Day was officially recognized by the Wilson presidential administration, which officially established a national observance in 1916, though it wasn’t until 1949 that President Truman’s administration signed an Act of Congress, which officially declared June 14th of every year as National Flag Day. National Flag Week is also a time in which citizens throughout the country learn how to properly display and take care of their flags. Flags should be flown only between sunrise and sunset, but many people today leave their flags up all the time. During bad weather, the flag shouldn’t be left out unless it’s made of all-weather material. In addition, manners dictate that the flag should be raised quickly, though lowered slowly. No other flag should be flown above the American flag. Flags shouldn’t be allowed to touch the ground. On Memorial Day, Armistice Day, Peace Officers Memorial Week, and Patriot’s Day, flags should be flown at half-staff. Proper disposal or retirement of flags should follow a time-honored procedure, and many local American Legion Posts will regularly conduct and offer both dignified and honorable disposal of worn or tattered flags on Flag Day. On most occasions, the flag disposal ceremony consists of the retirement of colors, followed by a traditional flag-burning ceremony in which many people from the community attend. It’s a somber observation, one ripe with tradition and a certain amount of pomp and ceremony. National Flag Week is celebrated in every city, county and state within the United States and in Embassies around the world, a time when American traditions and ideals are observed and honored by millions. Nothing shows pride of country and unity in purpose as much as National Flag Week, a time when the red, white and blue can be seen in proud display.